Join us at Sproul Plaza for Pengyou Day at UC Berkeley! 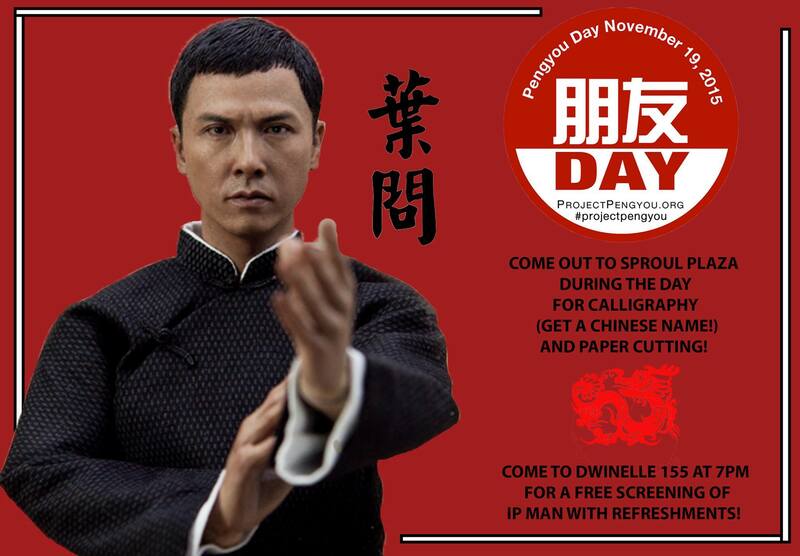 UC Berkeley Pengyous will celebrate US-China exchange on Pengyou Day, Nov. 19th by sharing Chinese paper-cutting skills and helping visitors choose a Chinese name. In the evening, there will be a showing of the Chinese film, IP Man with refreshments!